The only thing that comes close to beating a breakfast at the Dillard House is the amazing view as you dine. Here you can eat your fill of this family-style breakfast spread, with no fear of running low on your favorite foods. From hot bacon and fresh pancakes to fruits and pastries, you’ll never walk away hungry from a meal here. Nestled in the foothills of the Blue Ridge mountains, BJ’s is notorious for satisfying the early morning appetites of its fans. Starting at 6 a.m., patrons can settle down for a home-style breakfast that’s every bit as good as Mama used to make. You’re likely to enjoy your meal so much you’ll want to stick around for lunch. This homey little farmhouse-style eatery prides itself on serving up locally sourced and organic produce, homemade breads, cakes, and pastries, and locally roasted coffee. You can catch any meal of the day here, but breakfast is always a good choice. Try the bird’s nest—you’ll be glad you did! Servings its guests for nearly 70 years, Steffen’s knows its way around a breakfast menu. Locals love this place because they can get breakfast all day long. They locally source their eggs and offer plenty of toppings for your pancakes, biscuits, waffles, and French toast so you can create a one-of-a-kind meal every time you visit. More than a restaurant, Le Petit Marche prides itself on being a breakfast destination, where guests will delight guests with its unique flavors and impeccable service. Step inside and you’re automatically part of the family. Comprising the menu is a hearty selection of cheeses, fresh baked breads, and build-your-own made-to-order breakfast sandwiches. Having appeared in Midnight in the Garden of Good and Evil, Clary’s Cafe is also famous for its amazing breakfast. The restaurant has been dishing out some of the best food in town for decades, offering plenty of traditional and healthy options to fit nearly any preference. Foothill Grill fans love that they can get breakfast any time of day. If you love breakfast meats, this place has one of the best selections in the state. You can choose from classics like Applewood bacon and sausage, as well as smoked sausage, Angus beef patties, fried pork tenderloin, country fried steak, grilled corned beef hash, and New York strip (yes, New York strip can be for breakfast!). The prices are affordable, the service is friendly, and there are plenty of hearty breakfast options to keep you full. The Atlanta metro offers four locations of this small breakfast chain (the next closest one is in Illinois!). 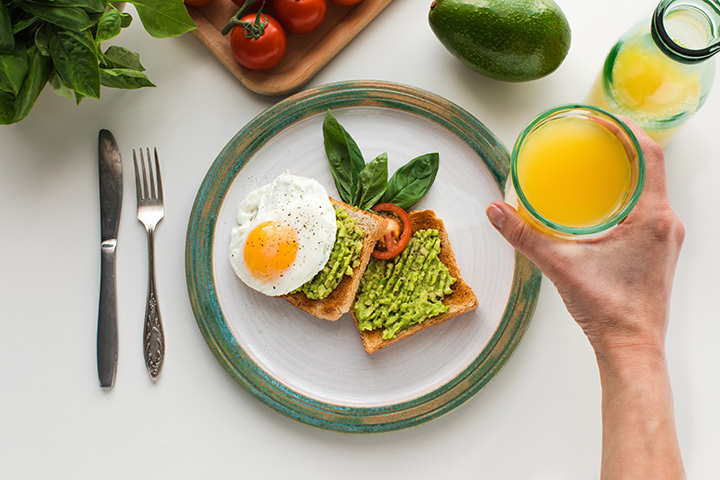 Guests love the healthy options here, including free range eggs, gluten free options, organic items, and locally sourced ingredients that ensure freshness in every meal. The food here looks almost too good to eat—almost. If you’re looking for a meat-free breakfast, look no further than the Grit. This restaurant’s entire concept is based on vegetarian options. You might be surprised at how extensive a no-meat menu can be, with plenty of variety that can satisfy even the meatiest appetites. For omnivores and carnivores alike, this place proves a little change every now and then can be extremely satisfying. This log-style cabin is bursting with delicious breakfast flavor. With their farm-to-table concept, guests can enjoy fresh eggs, made from scratch biscuits, and other locally sourced foods that will make you savor every bite.